Being fit and active is great and, for sure, helps us look really good! However, Danielle can help us to look even better! Our skin is something that we are going to wear all our life so making sure we look after it properly is a must! Danielle does not offer her clients a “quick fix”. 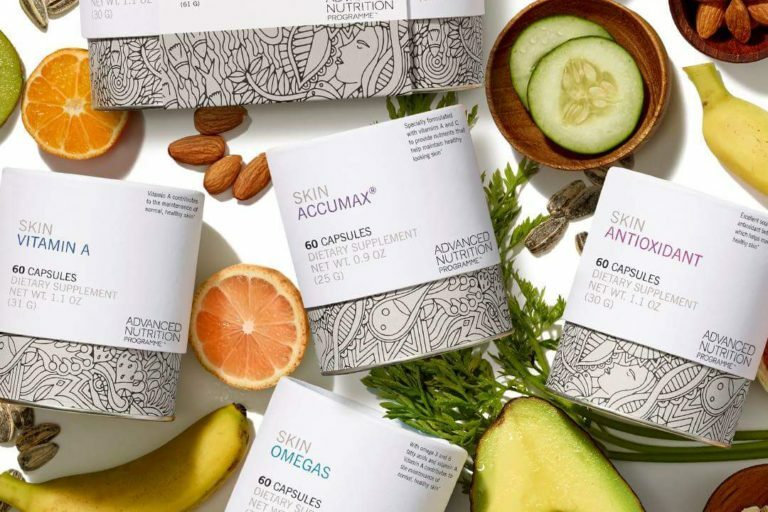 She is committed to walking that extra mile to make sure that your nutrition, supplements and products are on point and making your skin looks good and healthy in the long term! On a personal note, Danielle is mum to 4 children while running a successful beauty business too, DermElite Beauty. 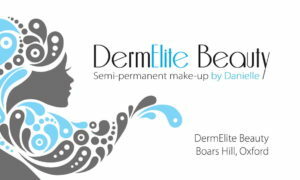 DermElite Beauty was established in 2016 and Danielle has been learning and developing ever since. 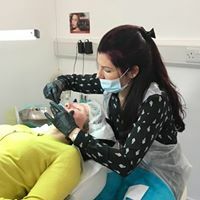 Danielle now offers anything from semi-permanent makeup including lips, eyebrows and eyeliner and also corrections & removals to advanced skincare and facials including meso needling facials and dermaplaning! To top up the perfect pampering session, Danielle’s Treatment Room offers far reaching views of the countryside! If you love animals, Danielle has 3 ponies and a horse which are kept are home, where her Treatment Room is, which will be happy to greet you on arrival! Perfecto! DermElite Beauty stocks a range of new innovative products from Cell Biologique, a brand of highly developed Skincare containing 100% natural products and designed to help a wide range of skin complaints. 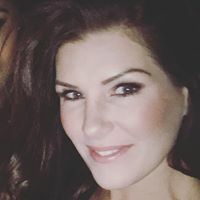 Danielle is keen to expand her knowledge of skin care and the effects of diet, hormonal changes and everyday stress can have on one’s skin and is furthering her education in these areas by attending seminars and training days. Danielle takes pride in using products that she strongly believes in! She has trained extensively in the products she offers to her clients! She will refuse to sell or stock ‘gimmicks” and false products. Danielle, why should someone choose DermElite Beauty? I believe that my business is unique and different in two ways. Firstly, my premises are in a beautiful and private setting giving my clients the privacy they need! Secondly, I always make sure that I leave enough time between sessions! My clients pay lots of money for my services and I really enjoy giving a personalised service. My aim is to turn beauty into a special experience for my clients and give them the time and attention they deserve. There are many people that, unfortunately, had bad experiences with technicians and many that are worried the treatment may be painful so, I like to take my time to explain the treatment and offer the reassurance we all need while getting a beauty treatment! I am excited to be involved in Fitfest Oxford because it is a fantastic opportunity to showcase what I do while supporting other local businesses. It is the type of event that Oxford needed! Our wellbeing, nutrition and fitness is something that affects all of us, or at least it should! I love feeling part of the community. Let’s shake the county up and get Oxford Fit! Danielle will be bringing most of the makeup and products she works with on a daily basis to be able to offer free mini makeup trials, colour match consultations, nutritional advise, advise on how to improve your skin and the suitability of the products you may or may not be using. The sooner you pop around Danielle’s stand, the better! She will be putting little goodie bags together so make you get yours while they last! Reminder: tickets are now on sale! Get Yours!